Previous image, 55 total items. Next image, 55 total items. 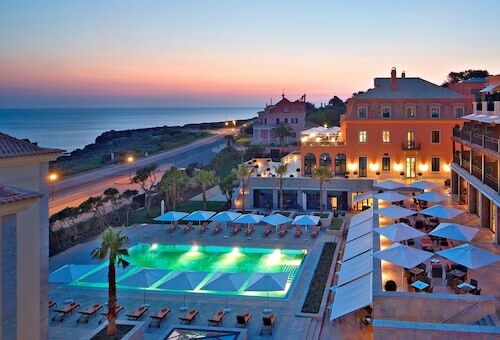 Expedia has some excellent Cascais travel packages ready and waiting. Bundling your airfares and lodgings is one of the simplest ways to save money on your vacation. You can select from more than 400 partner airlines and 321,000 worldwide properties on our extensive database of lodgings and flights. Fly with who you want, stay where you want — now that's the perfect vacation! You can postpone your vacation reservations with us because we do not charge cancellation fees for almost all of our bookings. It's nice to just amble around the streets in a new destination, but sometimes it's wise to have a plan in place. Grab your schedule — we have some awesome ideas for your upcoming Cascais vacation. Cascais Beach is a top sight that's just a walk away. So why not slide into your sneakers and sunglasses and take a walk in that direction? Wanting to impress that special someone? Take them for a leisurely stroll along the water's edge at Tamariz Beach. Travelers have a top-notch selection of things to do in this destination. Marechal Carmona Park is a lush haven that's easily accessible from the main central area. 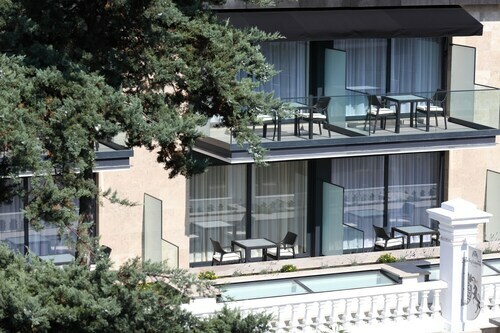 After a busy morning of sightseeing, recline in one of its shady spots. Still got time to spare? Try to imagine the troops who once watched over Cascais Fortress. The horror of past battles can still be found on its walls. Eager to make some marvelous memories? A trip away is the perfect time to try your hand at a few entertaining new experiences. For a comprehensive range of activities, take a look at our Cascais things to do page. Offering easy access to a diverse range of accommodations, Cascais is an excellent place to base your next cheap vacation or luxury getaway. Book now via Expedia and you be able to select from roughly 26 possibilities. Sometimes you need help to find the best accommodations. Our recommendations are The Albatroz Hotel (Rua Frederico Arouca, 100) and the Hotel Cascais Miragem (Avenida Marginal, 8554). Let's face it, nobody loves wasting time at the airport. However, if you focus on the exciting trip to Cascais that awaits, it becomes less of a chore. After all, you'll be just 16 miles (26 km) east of the neighborhood center when you hop off the plane at Humberto Delgado Airport (LIS). Ride the waves, enjoy a few hours of sunbathing on the warm sand or go for long walks to catch a sea breeze at this surfer’s paradise in southern Europe. Take the family to this beach within walking distance of Estoril to play and swim in the sun against the backdrop of a curious castle built in medieval style. After enjoying the seaside attractions of Cascais, visit its lush park in the center of town to meet the locals and surround yourself with greenery and artworks. Marvel at the rich decor of the palace and chapel, take in the bay views and visit the museum in this 15th-century landmark that has withstood the test of time. Follow rugged coastal paths, enjoy sweeping ocean vistas and marvel at the power of nature at this stunning natural attraction with an ominous name. Delve into the history of this panoramic blue-and-white landmark of Cascais by browsing its beautifully repurposed lighthouse keepers’ cottages. This may be the smallest beach in Cascais, but it was once fit for a queen. Enjoy its soft sands and lovely views of the town’s fishing harbor. Explore this century-old Mediterranean and Arabian-style mansion that still houses its original furniture, striking azulejos and a private art collection. Give in to the magnetic pull of this stylish boat harbor with its sleek yachts and scenic views. Wine and dine at a stylish restaurant or set out on a sailing trip. 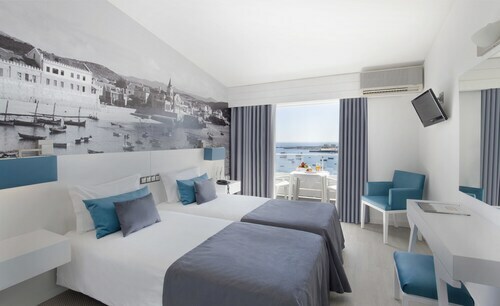 Situated near the boardwalk, this luxury hotel is within a 15-minute walk of Santa Marta Lighthouse Museum and Cascais Beach. Marechal Carmona Park and Condes de Castro Guimaraes Museum are also within 10 minutes. 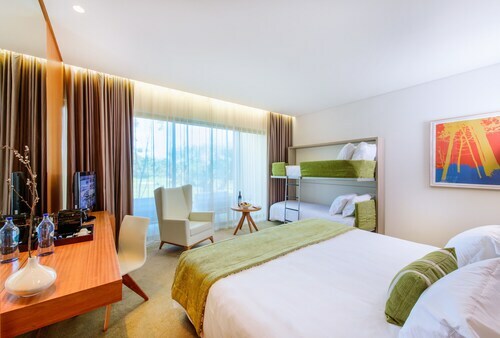 This family-friendly Cascais hotel is located on the boardwalk, within 3 mi (5 km) of Oitavos Fort, Cascais Beach and Guincho Beach. Cascais Municipal Market and CascaisVilla Shopping Centre are also within 3 mi (5 km). Situated in Cascais, this luxury hotel is 1.2 mi (1.9 km) from Oitavos Fort and within 3 mi (5 km) of Cascais Beach and Guincho Beach. Boca do Inferno and Cresmina Beach are also within 3 mi (5 km). Situated near the beach, this eco-friendly hotel is within 1 mi (2 km) of Church of the Assumption (Igreja da Assuncao) and Cascais Beach. Rainha Beach and Cascais Fortress (Cidadela) are also within 5 minutes. Situated by the ocean, this boutique hotel is 0.3 mi (0.5 km) from Estoril Conference Centre and 1.7 mi (2.7 km) from Cascais Beach. 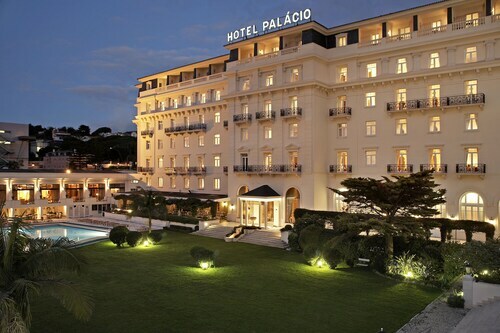 Estoril Casino and Tamariz Beach are also within 15 minutes. This family-friendly Cascais aparthotel is located on the boardwalk, within 1 mi (2 km) of CascaisVilla Shopping Centre and Cascais Beach. Rainha Beach and Duquesa Beach are also within 1 mi (2 km). 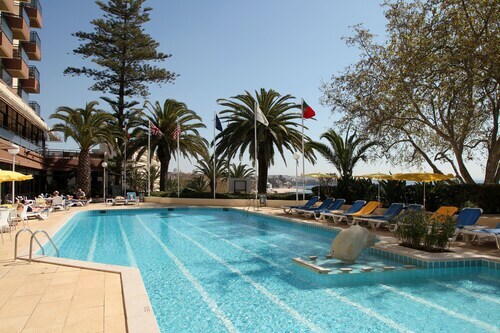 This family-friendly Cascais hotel is within a 10-minute walk of Estoril Conference Centre and Estoril Casino. Cascais Beach is 1.6 mi (2.6 km) away. 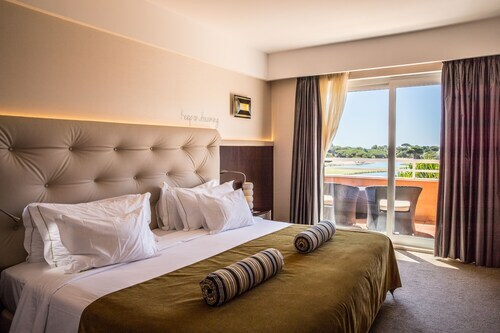 This family-friendly Cascais aparthotel is located by the sea, within a 15-minute walk of Marechal Carmona Park and Cascais Beach. Santa Marta Lighthouse Museum and Condes de Castro Guimaraes Museum are also within 5 minutes. Sun., 17 Nov. - Thu., 21 Nov. Mon., 25 Nov. - Tue., 10 Dec.